Aug. 5, 2015, 12:02 p.m.
Ghana yesterday pushed strongly towards the realisation of a long-term development strategy that will be binding on successive governments when it launched preparatory work for a 40-year (2018-2057) development plan. The idea of the plan was born out of the recommendations of the Constitution Review Commission of 2010. Among other things, the Commission recommended that the plan should be national in character, and should be region and district-specific. And with a common purpose, Ghanaians from all shades of life poured into the Accra International Conference Centre, the venue for the launch, to lend their support for the launch of the plan, which they see as potentially the best solution to the development challenges that confront the country. President John Dramani Mahama performed the official launch, which had in attendance former Presidents Jerry Rawlings and John Agyekum Kufuor as well as high-ranking public officials and leaders of political parties, among others. Although the plan would be binding on successive governments, it would, nonetheless, be flexible to allow for incumbent governments to prepare their own operational or medium-term plans based on their manifestoes for the attainment of the vision, goals and objectives of the national plan. 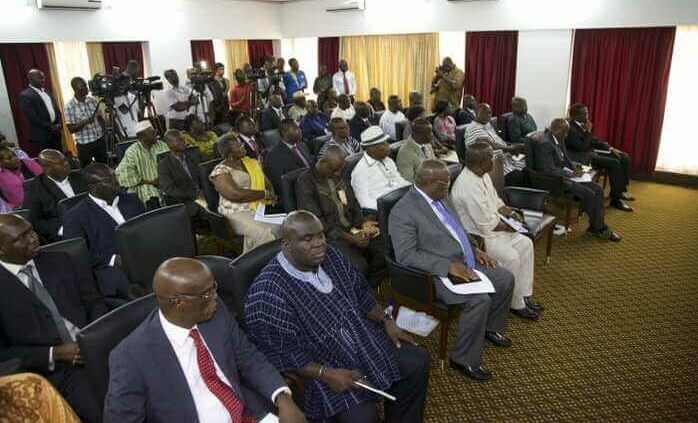 The National Development Planning Commission ( NDPC), the body clothed with the constitutional mandate to see to the implementation of the plan, has indicated that the framework of the plan would hinge, among other things, on the views of Ghanaians, the various existing laws, policies and reports as well as international frameworks. The Commission has further proposed that the plan should be subjected to 10-year reviews by Parliament. Ghana has gone through many development plans from long to medium and the short terms, but all failed to achieve their objectives due to various reasons, including military interventions and truncation of the plans by succeeding governments. The first major plan dates back to colonial rule when under Governor Gordon Guggisberg, a 10-year development programme (1920 to 1930) was developed. Besides, the CPP's seven-year Development Plan for National Reconstruction and Development (1963/64-1969/70) valued at the cost of £1,016 million was terminated following the 1966 coup. Shared Growth and Development Agenda (2010-2013) and the Ghana Shared Growth and Development Agenda II (2014-2017), which is undergoing implementation. President Mahama, in his keynote address, expressed delight at the general acceptance that the country needed a long-term plan that would provide the antidote to its development challenges. He said it showed what the nation could achieve, if the people worked together devoid of partisanship and other differences. In that context, he called on Ghanaians to do away with the pull-him-down syndrome and cynicism, which are counter-productive. He said governments could have their short-term and medium-term development plans, but such plans could achieve their objectives, if they were situated in a long-term national development plan. Mr Mahama said it was, therefore, important that the mistakes of the past, including abandoning projects during regime change, were not repeated. He said across the country, there was evidence of sound progress, some dating back to the period of independence. President Mahama said the country was starting on a good note in bringing together people from all shades of the society under one umbrella to chart a common purpose. He, therefore, expressed the hope that the result would be something the nation would be proud of. He asked the NDPC to make good use of technology to reach out to many people as possible in their consultations. Before the President delivered his address, the Director-General of the NDPC, Dr Nii Moi Thompson, in a power-point presentation, walked the gathering through the journey so far, and added that going forward, two representatives of each political party would join the Commission in its upcoming consultation exercise in the regions. 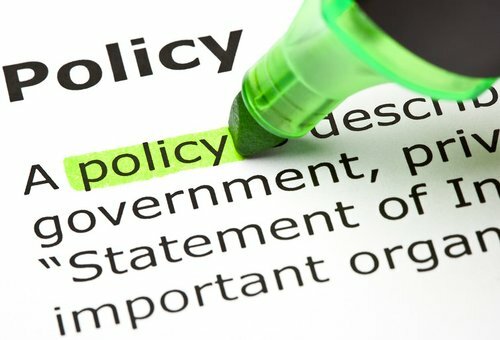 He mentioned how in the earlier consultations, some people raised concerns about how a politically-polarised country could realise a binding development plan for all governments but added that majority of the people were optimistic that with the involvement of the political parties, the plan would be workable. The Chairman of NDPC, Prof. Kwesi Botchway, said many countries, including the so-called Asian Tigers, had achieved tremendous economic growth mainly because they allowed long-term national development plans to flourish. Regrettably, he said, Ghana began life with the Asian Tigers, but today the country lagged behind in development because of mainly the failure to adopt a long-term national development plans. "There are lessons to be learnt from these countries as well as from our own experience," he said. 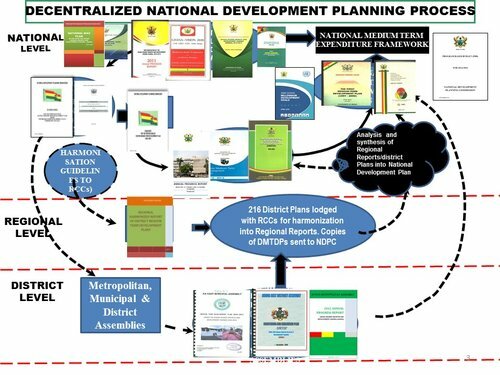 Aware of the fact that a long-term national development plan could not succeed without a large volume of political ownership and the supreme national interests, Prof. Botchway said the NDPC had made wide consultations on the plan and would continue to do so across the regions. There were vision statements from identifiable organisations, all of them expressing their support for the plan. The groups included the Trades Union Congress (TUC), Ghana Employers Association, Private Enterprises Foundation, Federation of Association of Ghanaian Exporters and the National Union of Ghana Students. Others were religious organisations, National House of Chiefs, Ghana Culture Forum, Ghana Journalists Association, Ghana Union of Traders Association and the Council of Indigenous Business Association.